The decision to retire is a life-changing time in your life. One of the most important aspects of retirement is deciding where to live. Many retirees realize it makes sense for them to sell their existing home as it too big for their needs. In that case the question becomes where to move. As so many people have discovered, the answer to that question is retirement living central Florida. Central Florida retirement living has many wonderful advantages. The warm climate makes it easy to spend time outdoors all year long. Retirement living communities in Central Florida offer resort style amenities. Residents have their choice of fabulous activities. Spend hours on the golf course any day of the year. Two coasts, – the Atlantic and the Gulf of Mexico – are not far away from retirees. Also close-by are major amusement parks like Disney. Icy cold winds and snow can take a toll on the body. As people get older, the cold weather presents particular dangers including falling. Retirement living central Florida is one way to leave fierce blizzards and layers of ice behind forever. Here temperatures remain moderate all year long. Ice is extremely rare. Retirees can walk on any surface with confidence knowing black ice won’t cause problems. The year-round pleasing weather encourages people to get outside and stay in shape. Retirees can take a brisk walk, get on the tennis courts or bring the bike out for a long ride across the local countryside. Dipping your toes in warm water filled with waves is something many people adore. Many people look forward to retiring and spending a lot more time at the beach. One of the best things about central Florida retirement living is that it is very easy to access some of the best places to swim in the United States. A central Florida location means an easy drive to the beautiful Florida beaches. Take advantage of it and relax along the turquoise waters of the gulf coast or the Atlantic ocean. When not lolling on the beach, you’ll have your pick of amusement parks. Amusement parks make it easy for retirees to spend time with grandchildren. Invite the whole family for a fabulous Disney vacation. 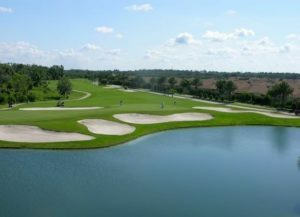 When it comes to finding the right place to retire in central Florida, many people turn to the experts at Lake Ashton. Retirement living communities in Central Florida such as Lake Ashton offers everything any retiree could want to enjoy life in a safe and secure setting designed with their every single need in mind. The development offers two professionally designed golf courses specifically designed for residents. Now is the time to make that next step. The new development gives you a chance to own an updated space in one of the region’s most vibrant retirement communities. Contact us to schedule a personal tour of our property today.